It was insanely difficult to resist buying it because I have an obsession with table books, but it did inspire me to find a swimsuit that captured the mid-century California beach culture. After many hours of hunting online, I finally found these 4, which each incorporate that vintage feel in a different way. 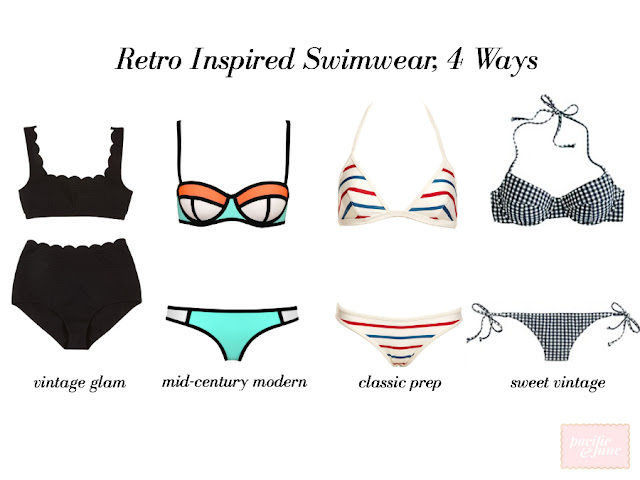 Have you found the perfect swimsuit yet? Let us know in the comments! Yasi "I should probably spend more time actually in a swimsuit and less time looking at them"